Oppulent, shimmering vintage jewelry set. 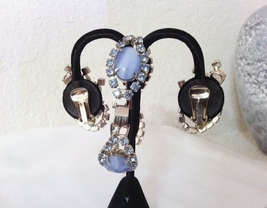 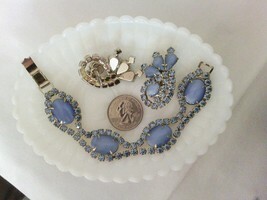 Blue moonglow stones and icy blue crystals set on shiny silver tone. Includes 6 3/4", bracelet with fold-over clasp, 1 3/4", clip on earrings. Circa 1950, Unmarked. 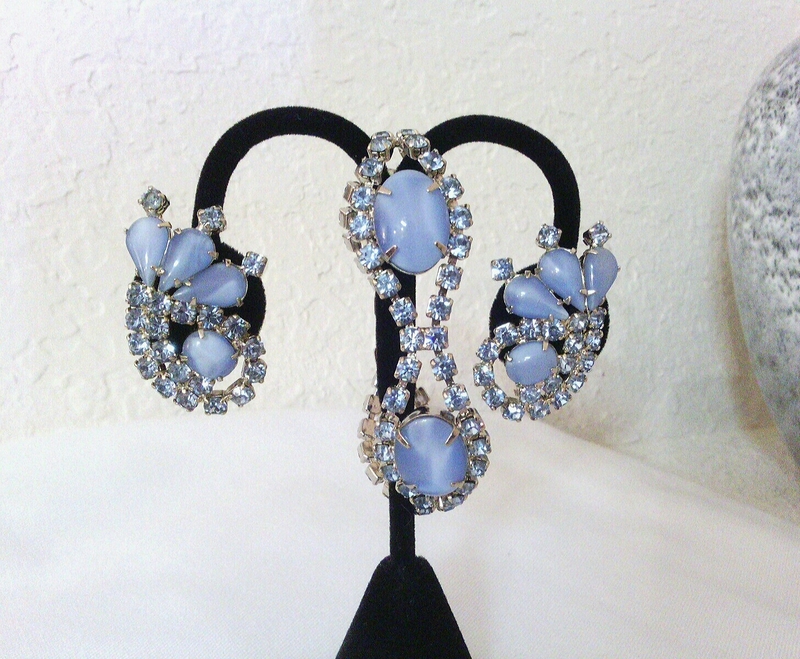 In excellent, wearable vintage condition. 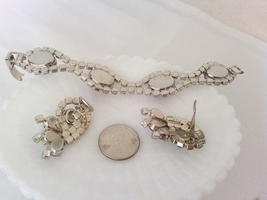 Some wear on clasp as pictured.